there isn't much better than good food and best friends. i made margaritas for sunday brunch this weekend. they paired perfectly with a few cilantro egg and black bean tacos. 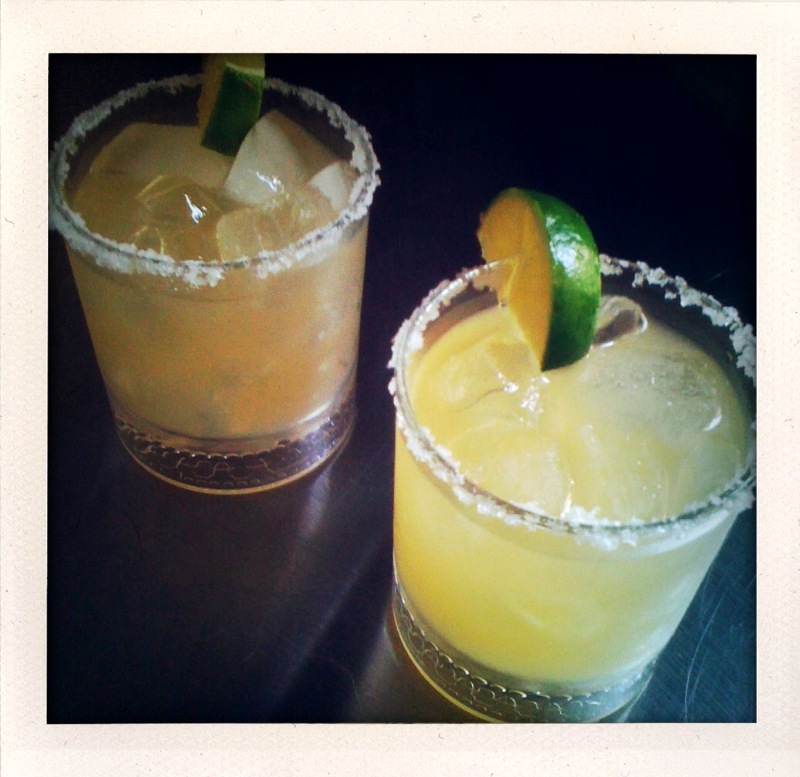 this was my first time making fresh margaritas and they were delicious. juice the lemons and limes. pour into a small glass pitcher and stir. add just enough tequila to the pitcher to double the amount of liquid and stir. add just a few small drops of orange extract and agave syrup. add ice and stir until chilled. pour a small amount of rose's sweetened lime juice onto a small saucer. grind sea salt over another small saucer. dip rim of glass into rose's lime juice. then into salt, pressing firmly so salt will stick. fill glass with ice. strain margarita mix over ice. garnish with lime and serve immediately. in a bowl, halve, pit, and smash both ripe avocados with a fork. add 1/4 cup of chopped cilantro leaves, the juice of 1/2 a lime and 1 tbsp diced onion. add salt and pepper to taste. mix well and let cool in the fridge. in a small saucepan, simmer beans over low heat. heat evoo over med heat in saucepan. crack 4 eggs into a small bowl. add 1/4 cup cilantro leaves, salt and pepper. stir well. add to saucepan and stir until just cooked. for each taco, use 2 tortillas so they won't fall apart. add beans and eggs. top with salsa, guacamole, onion, hot sauce, remaining cilantro and lime. 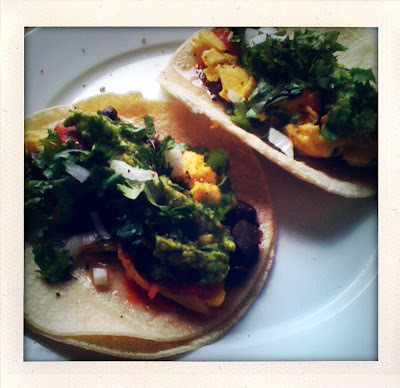 LOVE ME SOME CILANTRO EGG TACOS! !